Abbey Children's Centre in South Wimbledon offers services for parents and carers from pregnancy through to the end of their child's reception year at school. 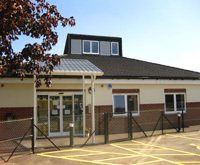 Please note that the Children's Centre is closed on Tuesdays and Fridays. Please see timetable download for details. For Developmental Health Check or weaning appointments, contact the Health Visiting Service. For antenatal and postnatal appointments, contact the Midwifery Service.